Since 1979, Eat'n Park guests and team members have united to do some serious fundraising for five weeks every November and December. That's right - it's time for Caring for Kids! Last year, we surpassed $10 million in total contributions since the inception of the campaign, and we’re looking to keep that momentum going! Read on to learn how you can help support our 39th Annual Caring for Kids campaign! 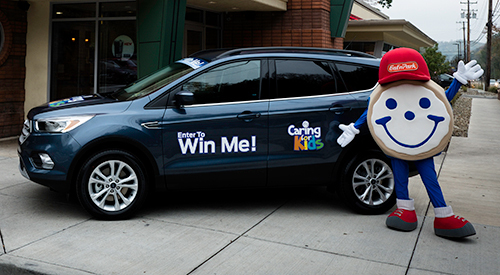 Our generous partner, Neighborhood Ford Store, has kindly donated a 2018 Ford Escape to the campaign - so one lucky guest is going to be taking home a pretty sweet Christmas present! Raffle tickets are available for just $2 each at all Eat'n Park locations. Just ask your server for one (or 10!) for your chance to win. 100% of the proceeds from the raffle go directly to the campaign. 10% of proceeds from all Holiday merchandise will go to our Caring for Kids campaign. You'll find mugs featuring our classic Christmas Star commercial at every Eat'n Park location. 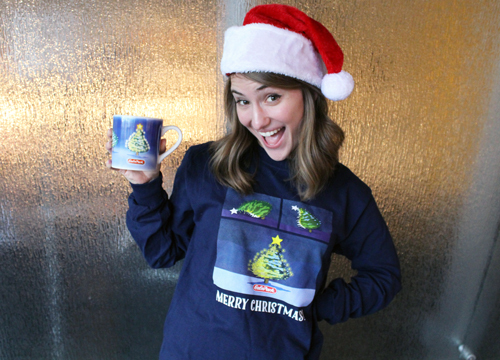 In addition, select locations will also be featuring Christmas Star long sleeve adult t-shirts! Click here to see where you can pick up this festive apparel! Every year, our team members pour their hearts into this campaign. Many of them donate their time to organizing special events at our special events inside and outside of our restaurants. This season, you can look forward to Pictures with Princesses, basket raffles, local dances, and many more unique events! We'll be updating the schedule of events every week, so check back often to see what's happening at your local Eat'n Park! New this year is our One Day, One Dollar initiative, where on Saturday, December 2, we hope to raise $10,000 for our Caring for Kids Campaign! We hope you’ll stop by to enjoy fun in-restaurant activities and help us by adding a $1 donation to your check! Plus, our juice supplier, Nestle Professional Vitality, will be matching the first $5,000 of donations!